Jim McFeetors was born on March 25, 1933. Raised in Winnipeg, he studied architecture at the University of Manitoba, graduating in 1955. With partners he ran a successful architectural business for 40 years, retiring in 2002. Heserved on the National Architect Certification Board for four years, and is a past President of the Manitoba Association of Architects. Very active in community and professional affairs, Jim was a member of the Lions Club, Shriners, Jesters, and the Canadian Club. He was Chairman of the Advisory Board of Marymound Inc. for 30 years. 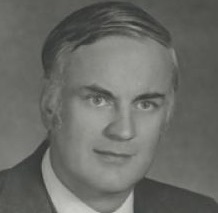 Jim was an original partner in the development and operations of the Russell Inn Motel Complex and the Assessippi Ski Complex in Russell, Manitoba.